The Standard Cabins are great for those looking for a budget option. They are available either with or without bedding included. They have electric heaters to keep you warm over cooler months. They share the communal kitchen and dining area, as well as communal bathrooms. Kitchen packs are available from the office for a refundable bond. A queen bed and a set of bunk beds, beds fully made up and towels provided. A double bunk (double on the bottom, single on top) and a set of standard bunks. 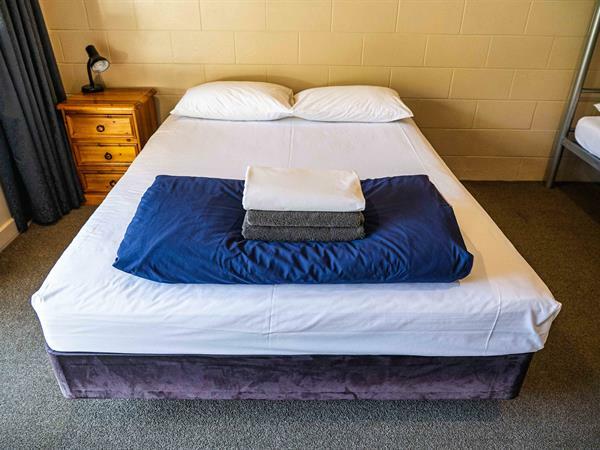 A pillow and base sheet are provided but you must provide your own bedding.